Writing up my Secret Santicore entry today got me flexing my random table muscles. And then this post provided a wacky explanation for clerics. I’ve always liked the idea of the cleric as a mortal siphon for SOMETHING. What is that something? Here’s a table. This is more a collection of other people’s ideas, but a few are original. 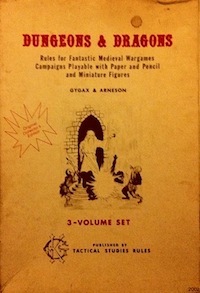 This entry was posted in Uncategorized and tagged cleric on December 14, 2011 by Necropraxis.